The Ferrari F540 Superfast Aperta doesn’t look like a 10-year old Ferrari, except that it is a 10-year old Ferrari. As one of the first cars created by Ferrari Special Projects, the 599 GTB Fiorano-based F540 Superfast Aperta remains a stunner after ten years. Part of that can be attributed to the car from which it was inspired from: the classic Carrozzeria Fantuzzi-designed golden open-air Ferrari that was built for the 1968 Fellini film, Toby Dammit. The F540 Superfast Aperta’s low-slung front section gives way to a muscular rear defined by high wheel arches. There’s something to be said, too, of the coupe’s gold finish. 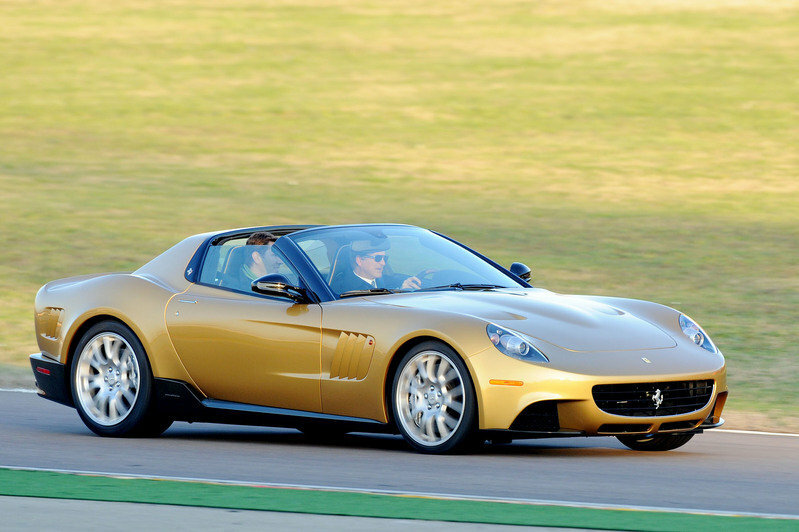 Ferraris don’t typically look good in gold, but you’d be hard-pressed to say that about the F540 Superfast Aperta. The car still looks tantalizing to the eyes today as it did back in 2009 when Edward Walson, son of cable TV inventor John Walson, commissioned Ferrari to build him his own on-off model. The Ferrari F540 Superfast Aperta is powered by a 6.0-liter V-12 engine that produces 611 horsepower and 448 pound-feet of torque. To this day, the F540 Superfast Aperta rarely makes appearances in public. When you somehow get the chance to see it, remember that it’s the only one of its kind and, more importantly, it arrived in an era that has long passed us by. Most people celebrate their 45th birthdays by throwing parties, going on vacations, or throwing parties while on vacation. But for then-45-year-old Ferrari collector Peter Kalikow, parties and vacations are routine endeavors. But asking Ferrari to build you a one-off supercar for your 45th birthday? That’s a baller move. Predictably, that’s exactly what Kalikow did in 2011. He wanted to have his own Ferrari by the time he turned 45, so he commissioned Ferrari Special Projects to build him his own version of a one-off Prancing Horse. And so, the Ferrari Superamerica 45 was born. Like the 540 Superfast Aperta that came before it, the Superamerica 45 traces its roots to the 599 GTB Fiorano. It’s been fitted with a bespoke roof, among other aesthetic upgrades. The chrome front grille is another departure from the 599 GTB Fiorano, though it does work out quite nicely on the Superamerica 45. The car also wears an exclusive Blu Antille paint finish that was specifically chosen to match Kalikow’s other prized possession at that time: a 1961 Blue Antile FEz. The Ferrari Superamerica receives its power from a 6.0-liter V-12 engine that produces 661 horsepower and 457 pound-feet of torque. The Ferrari Superamerica 45 remains one of the most beautiful one-off creations to come out of Ferrari’s Special Projects program. And to think this stunner was created back in 2011. One year after the Ferrari Superamerica 45 burst into the scene, Ferrari Special Projects went back to work with another one-of-one machine, this time for someone who a lot of people know. World famous singer and guitarist Eric Clapton wanted his own Ferrari. So Ferrari — and Pininfarina — obliged, creating the SP12 EPC. The one-off Ferrari was based on the 458 Italia, but it was the 70s-80s 512 Berlinetta Boxer that served as the design inspiration behind the SP12 EPC. The two-tone red and black body of the SP12 EPC bares the spirit of the 512 BB in full view. 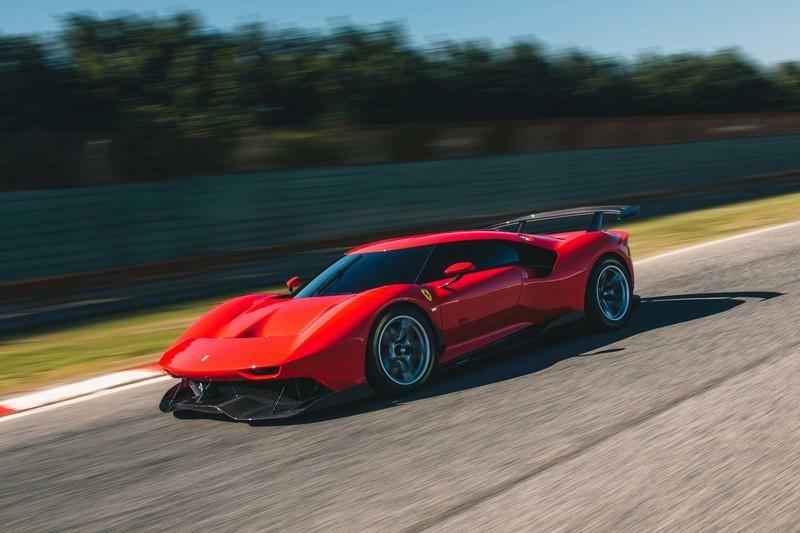 It remains unclear to this day how much power the SP12 EPC has, but we do know that Ferrari dropped a bigger engine into the car, removing the 458 Italia’s standard V-8 mill in favor of a V-12 unit. The “12” in SP12 is a nod to the V-12 engine. Overall, the Ferrari SP12 EPC is beautiful in a clean and sensual way. The model integrates the old BB styling cues organically — the rectangular headlamps are beautiful — in ways that make them stand out without being shameless in their integration. Eric Clapton scored a huge coup with the SP12 EPC, even if he had to pay $4.7 million for it. If the car is as beautiful as this one looks, it’s hard to blame him for paying that much for it. 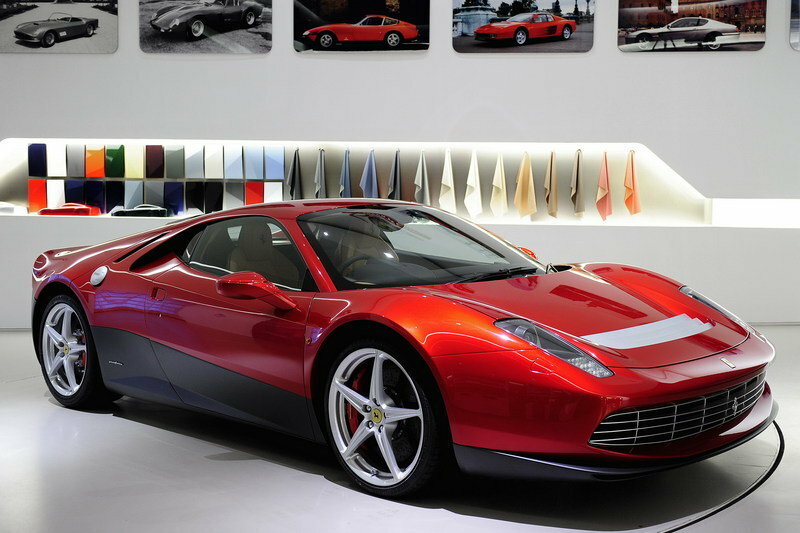 Read our full review on the 2012 Ferrari SP12 EPC. 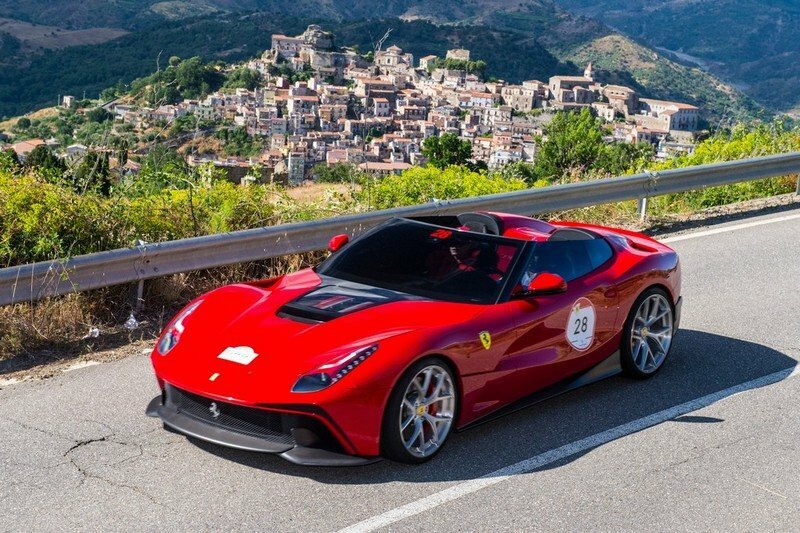 Officially, Ferrari says that there’s just one F12 TRS in the world. That might be the case, but that still didn’t stop people from assuming that there could be as many as three of them in existence since a silver-colored version of the supposedly one-off red supercar has been spotted at one point or another. Regardless of how many units there are, the F12 TRS remains a sight to behold. Created in 2014 with the F12berlinetta serving as the donor car, the F12 TRS is the perfect example of Ferrari Special Projects’ ability to create something new with a framework that it already has. The TRS has the same package as the F12berlinetta, particularly the long hood and the short rear haunches. But look closer, and you’ll notice that the two models are different more than they are alike. The one-off Ferrari, for example, features a nose with a deep front splitter. It also has no roof, and in place of that design are large rear seat humps that don’t look that different from the ones found on the Porsche 911 Speedster. The F12 TRS also comes with a hood that includes a rather cheeky large window that you can peek inside to see the massive V-12 engine. Speaking of which, the Ferrari F12 TRS comes with the same 6.3-liter V-12 engine as the F12berlinetta. There are no power upgrades to speak of, but with that V-12 packing 730 horsepower, there might not be a case for one. 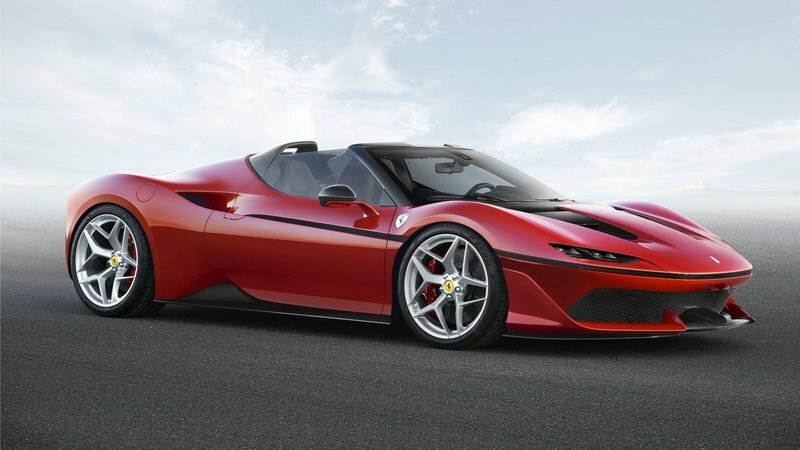 Interesting about this particular project is that, after delivery, the owner, who’s quite the Instagram celebrity, asked Ferrari to do some more changes to the front fascia of his F12 TRS so that it would resemble even less with a run-of-the-mill F12. The end result is a Ferrari quite like no other with a new bumper that partially covers the old F12 headlights and the running lights incorporated in the two narrow reversed L-shaped vents that sit on either side of the gaping grille. The splitter was also modified as were the exterior rear-view mirrors and the diffuser in the back that’s now fully exposed and sports two fins on either side of the recessed exhaust pipes as well as two fins on either side of the diffuser that follow the shape of the diffuser itself. The car, that was originally painted in black, was resprayed to Liquid Silver. The other F12 TRS built that was painted in Ferrari Red retains this color to this day but was also upgraded with the latest Vulcan-inspired body kit in the meantime. Ok, so here’s a disclaimer. The Ferrari J50 is not a one-off model. Ferrari actually built ten units of this model and sent all ten units to Japan as part of Ferrari Japan’s 50th-anniversary celebration back in 2016. The J50’s owes its genesis to the 488 Spider, except that you probably wouldn’t have noticed it considering how different the Japan-only exclusive looks. The front section, in particular, looks more aggressive than the 488 Spider. Slimmer LED headlights, redesigned bumpers, and raised wheel arches all help give the J50 a low-slung Barchetta look. All that and I’m only mentioning the two-piece carbon fiber Targa top, which can be stored behind the seats when you’re not in the mood to use it. 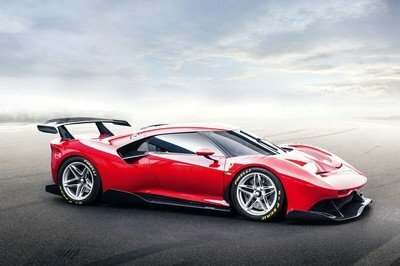 At the back, Ferrari installed double taillights and a new rear diffuser that hosts slick-looking pair of exhaust tips. Apparently, these exhaust tips are inspired by jet engine afterburners. Power comes in the form of a biturbo 3.9-liter V-8 engine that produces 690 horsepower, 20 ponies more than the 670-horsepower output of the 488 Spider. All told, the J50 could sprint from 0 to 60 mph in less than three seconds and hit a top speed of over 200 mph without breaking a sweat. You see the pearly white body and the tricolor racing stripes running down the length of the car. We immediately know that this is a Ferrari. But this isn’t your typical Ferrari in the way the word “typical” is associated with the Prancing Horse. This is the Ferrari 458 MM Speciale, and if you can keep up, this is the special one-off iteration of the range-topping 458 Speciale supercar. The MM Speciale actually arrived in 2016, a year after Maranello discontinued the 458 lineup to make way for its successor, the 488 GTB. Ok, so the timeline might have gone a little wonky, but there’s nothing outwardly wonky about the 458 MM Speciale. In fact, this one-off creation personifies the word it’s named after. It’s special. The visual design, for example, manages to blend the 458’s originally styling with new aesthetic iterations. That’s evident in the front with the massive splitter, the narrower intakes with the carbon fiber trim, and the different hood with the air vents. Ironically, the one-off supercar’s headlamps are borrowed from the 488 GTB, the car that succeeded the 488 Italia. The 458 MM Speciale’s side profile provides the clearest example of its outstanding design. The side skirts are different, and the rear fenders feature air scoops just behind the doors. The lower roofline also provides a sleeker and more aerodynamic look, something that Ferrari indicated is inspired from the 1984 Ferrari GTO. Like most cars on this list, the Ferrari 458 MM Speciale doesn’t have any power upgrades. Power still comes from the same 4.5-liter V-8 engine that Ferrari discontinued after using it on the 488 Italia. It still produces 596 horsepower and 398 pound-feet of torque. Ferrari hasn’t disclosed the supercar’s performance times, but considering that the 45 8 Italia could sprint from 0 to 60 mph in three seconds, there’s a good chance that the 458 MM Speciale could cover the same ground in less time than that. Top speed, on the other hand, remains the same at 202 mph. Read our full review on the 2016 Ferrari 458 MM Speciale. You know what’s better than a custom-built Ferrari? How about two custom-built Ferraris? That’s what Maranello uncorked last year when it unveiled the Monza SP1 and Monza SP2 at a special event for Ferrari customers. Both the Monza SP1 and the Monza SP2 are based on the Ferrari 812 Superfast. They look the same speedster types from a distance, but there are noticeable differences between the two models. The Monza SP1, for example, only has one seat, while the SP2 has double that number. The SP1 also debuted with a silver paint finish with matching yellow trim on the body while the Monza SP2 was dressed up in black with matching red leather racing seats. Neither model came with a proper or even functional windshield, so it’s hard to imagine both to be legal to drive on public roads. That’s a shame because both the Monza SP1 and Monza SP2 look absolutely ridiculous. 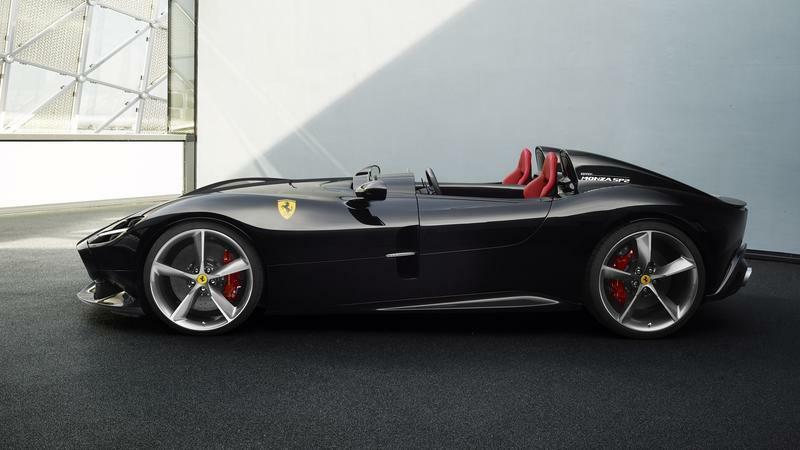 Since they’re based largely on the 812 Speedster, both creations also come with a 6.5-liter V-12 engine. Power and performance figures weren’t mentioned, but since the standard 812 Superfast comes with a similar V-12 engine that produces 789 horsepower and 530 pound-feet of torque, it’d be easy to assume that both the V-12s sitting inside the Monza SP1 and the Monza SP2 can produce an output that’s north of 800 horsepower and torque numbers approaching 600 pound-feet. Ferrari didn’t mention if both the Monza SP1 and Monza SP2 are one-offs or if there are multiple planned units for each version. If they do end up for sale, don’t expect everybody to have access to a unit. There is, after all, a reason Ferrari chose a private event to unveil the Monza SP1 and Monza SP2. Not many people knew about the existence of the SP30, that is until it popped up on the list of cars that were slated to hit the auction block during an RM/Sotheby’s sale. That is when we made the connection between this 599 GTO-esque beast and some sketches that Ferrari released almost a decade ago when the project was first announced. What you see is indeed based on a 599 GTO but the body was heavily altered with a front end reminiscent of the then-nonexistent F12TdF on top of other interesting elements like the winglets on the B-pillar, the special rims (similar to those on the F8 Tributo if you think about it), and the restyled back end. There are also some racing numbers there to complete the look, all as per the request of Cheerag Arya, a petrochemical tycoon living in the United Arab Emirates, who commissioned the build. For whatever reason, the fact that it was the first Special Projects Ferrari to be offered at a public auction left bidders unimpressed as the car did not sell during the event held in Paris in February of 2019. In fact, the highest bid of almost $2.2 million was far off the auction house’s estimate that floated between $4.5 million and $7.0 million! Don’t be surprised if you’ll see the SP30 appear at an auction near you in the future. You can’t talk about Ferrari’s ’Special Program’ cars and not mention the car that started it all and the car that arguably inspired the design of the 430 Scuderia. Built at the request of Junichiro Hiramatsu, ex-Ferrari Club of Japan Chairman, it used the F430 as a base. The drivetrain remained unmodified but the body was heavily remodeled by none other than Pininfarina’s long-standing designer Leonardo Fioravanti. Fioravanti came up with an elongated nose with bigger nostrils and slightly different headlights and taillights. The SP1 (also called ’Portfolio’ at the time because this was the original name of the program) also featured different wheels in comparison to a normal F430 and it is this car that spurred Edward Walson, son of John Walson, the inventor of cable television, to reach out to Ferrari and have them build him the gorgeous P540 Superfast Aperta that’s widely considered to be the second ever Ferrari Special Projects car. In the decade that has passed, some 40 cars were built as part of this exclusive program but, sadly, not all have broken cover. Some still lay hidden in the grandiose garages of the world’s wealthiest while we only know of about 15-odd cars. Ferrari built two units of the open-top SP3JC, each with a different livery. One of them is white with a blue nose and yellow racing numbers while the other is dark grey with a red nose, red accents, and red racing numbers. They’re both based on the F12TdF. The white over blue example was commissioned by John Collins, owner of Talacrest, purveyor of luxury exotics based in the U.K. He paid about $4.0 million for this redesigned F12TdF with infinite headroom. The livery is meant to be an homage to Ferrari’s sports racers from the ’50s but everything else is cutting-edge. The SP3JC features a redesigned front fascia with a new grille whose corners point upwards and a protruding splitter that supports two extra air vents on either side of the main grille. According to Coachbuild.com, Collins commissioned the car in mid-2014 and it took three and a half years to complete. Ferrari said the design process alone took two of those years. The back of the SP3JC (JC stands for John Collins) is unique too with a pair of round taillights mounted in the corners of the rear fascia. There are two longitudinally-mounted vents embedded in the center panel of the fascia below the design line that acts as a border for the taillights. Mechanically, the car is identical to an F12TdF as is the case with many Special Projects cars. The SP FFX is another one-off Ferrari that resides in Japan. It was ordered by Shin Okamoto who basically wanted a coupe-bodied Ferrari FF. Pininfarina got to work and designed a stylish body that required the removal of the rear seats. In the front, the grille was enlarged and there are two vertical bars that nestle the Ferrari badge. The lip of the bumper is painted in white as are the A and B-pillars and the roof, as well as the wheels. The rear of the car is different too, featuring exposed carbon fiber buttresses and a white moveable wing just above the twin taillights. Overall, the back, including the aggressive-looking diffuser, is akin to an F12’s rear fascia minus the gills aft of the wheels. Back in 2014, it was rumored that Okamoto paid in excess of $4.0 million for the car although nothing was changed under the hood. The SP FFX still sports the same 6.3-liter V-12 as any other FF. 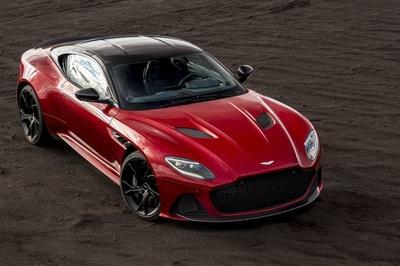 It’s unclear if the coupe body helps the car go quicker than a shooting brake FF but the top speed must still be in the region of 208 mph. The SP America is what you end up with if you want to make an F12 resemble a 250 GTO. Danny Wegman, who owns a chain of supermarkets, asked Ferrari to re-body an F12 for him and the result is the car that basks in front of your eyes. The most obvious change is in the front where the hood was sawed and it now features three openings, just like the 250 GTO had underneath the hood. The bulge near the windscreen is also present for good measure. The bumper is new too with a narrower grille guarded by a pair of taller-than-usual side air vents. The central air vent sprouts from within the bodywork but looks as if it’s not connected to it as such. Below these three air vents, there’s a modified diffuser with two vertical elements connected to the central grille. The modifications have also taken hold of the sides of the car. The vent aft of the front wheel wells has doubled on the SP America and the rocker panels protrude outwards more than usual. There’s also a slanted air vent next to the rear-quarter window and the back end received some attention too. Namely, the fascia received a reverse scallop appearance and Ferrari managed to incorporate the active rear wing above the twin taillights. There are two more air vents on either side of the chiseled rear center panel that caves in in the middle. Behind the altered body is an unchanged drivetrain from the F12 and this means the SP America, which also cost anywhere between $3.0 million and $4.0 million to be built, can go from naught to 62 mph in 3.1 seconds and from naught to 124 mph in 8.5 seconds thanks to the F12’s 6.3-liter V-12. The SP 275 RW Competizione is a modern-day tribute to the 1965 Ferrari 275 GTB/C that competed at Le Mans and has been for years the centerpiece of the late Preston Henn’s collection. The ’RW’ in the car’s name refers to Rick Workman, an American dentist, who financed the whole thing. Underneath the retro bodywork is the running gear of the F12 minus the engine which comes straight from the F12TdF. Workman wanted to own a car that looked almost as good as the 1965 Ferrari 275 GTB/C Speciale and he contacted Ferrari’s Special Projects department to see what they can do. He’s apparently the owner of two other special Ferraris, namely Walson’s P540 Superfast Aperta and one of the 10 F60 Americas built in 2014. In a way, the SP 275 RW Competizione can be seen as a fixed-head version of the P540 on looks alone although that wasn’t the intention. The elegant body line of the last of the 275-series Ferraris that was unveiled in street guise at the 1966 Paris Auto Show only to be discontinued merely two years later is respected: The elongated hood blends nicely with the cockpit area and the stubby tail with an incorporated wing. The front end features a classic Ferrari grille that stretches across the chiseled nose cone and two triangular air vents on either side in the lower bumper, immediately above the twin carbon fiber lip whose inboard edge springs upwards below the main grille. From the side, you see the variety of vents: There are four between the front wheel wells and the doors, three aft of the rear-quarter window and three more on the rear overhangs. This precisely follows the design of the original 275 GTB/C Speciale that has just as many openings across its side. The SP 275 RW is also painted in yellow, mimicking the Ecurie Francorchamps livery worn by the car that raced at Le Mans 54 years ago and came out on top in the GT 4.0-liter class by finishing third overall in the hands of Willy Mairesse and Jean Blaton (who raced under the Jean Beurlys nickname). The car, chassis #6885 is quite different to the production-based racing 275s that debuted in 1966 as it’s based on a different chassis, hence the ’Speciale’ designation. It has a longer and more chiseled nose, no bumpers, and was powered by a 3.3-liter V-12. The engine was the only bit that was adopted by the production-based 275 GTBs that raced at Le Mans between 1966 and 1969 (although in a rather different state of tune). In the wake of Henn’s passing in 2017, Bloomberg ran a story about his 275 GTB/C that could be seen for years in the premises of his T-Bird Swap Shop in Fort Lauderdale, Florida. The author says that the car could be worth now as much as a 250 GTO. The original GTO, one of which sold for $48.4 million in August of 2018 at an RM/Sotheby’s sale, is arguably the most coveted of all racing Ferraris but the 275 GTB/C Speciale is rare with only three chassis having been made in period. Each of them weighed 300 pounds less than the production 275 GTB and the V-12 engine strapped in front of the cockpit put out 330 horsepower, 440 horsepower less than the F12TdF engine that powers the SP 275 RW Competizione. The RW Competizione was expensive in its own right, Workman paying anywhere between $3.0 million and $4.0 million but that’s nowhere near as much as Henn was offered for the 275 GTB/C Speciale. "About 10 years ago, he got an offer from a big Japanese collector for 35 to 40 million euros," recalled Ron Vogel, a friend and racing buddy, quoted by Bloomberg. "I think he responded, ‘Stop talking to me.’ "
First unveiled in concept form at the 2013 Geneva Auto Show, the Pininfarina-penned Sergio was as the name suggest, a tribute to the late and great Sergio Pininfarina. The obscenely rich apparently liked it enough to push Ferrari and Pininfarina to make a very limited production run that commenced in late 2014. Just six examples were built based on the Ferrari 458 Spider. 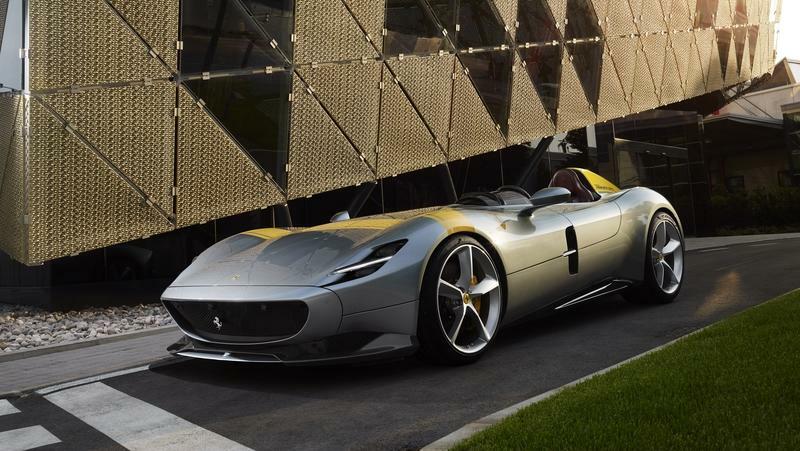 In a press release, Ferrari said that the Sergio was "created to celebrate the spirit and core values of the historic Cambiano company in the 60th anniversary year of its collaboration with the Prancing Horse." To me, the Sergio’s design language previews what we’ve seen on the Pininfarina Battista. I mean, the wraparound headlights (well, actually only the two light clusters on the side work, the glassed bit in the middle is just there to connect them), the gaping mouth that carves in the bumper, and the darkened top part of the front hood are elements that have been (to some extent) carried over and blended in the design of the 1,900 horsepower Battista. This open-top machine with a pedigree features large air vents aft of the side windows and a rather weird back end. You’ll spot in the back the round 458 Italia taillights with mesh grilles in continuation of the light clusters. The incorporated duck-tail rear wing swoops up above. Below the number plate area, there are two more grilles that host the exhaust outlets. They are supported by the protruding diffuser. The cabin is identical to that of the 458 Spider and the engine is from the 458 Speciale. 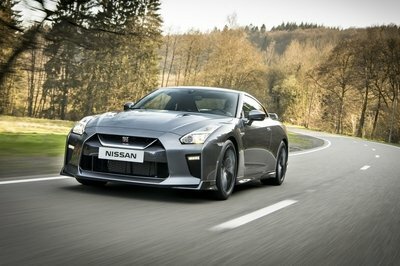 This means you get a 4.5-liter, naturally aspirated V-8 engine that cranks out 596 horsepower and 398 pound-feet of torque. To put into perspective the evolution of Ferrari’s special, track-focused modes, the Pista that replaced the Speciale boasts 710 horsepower and 568 pound-feet of twist. 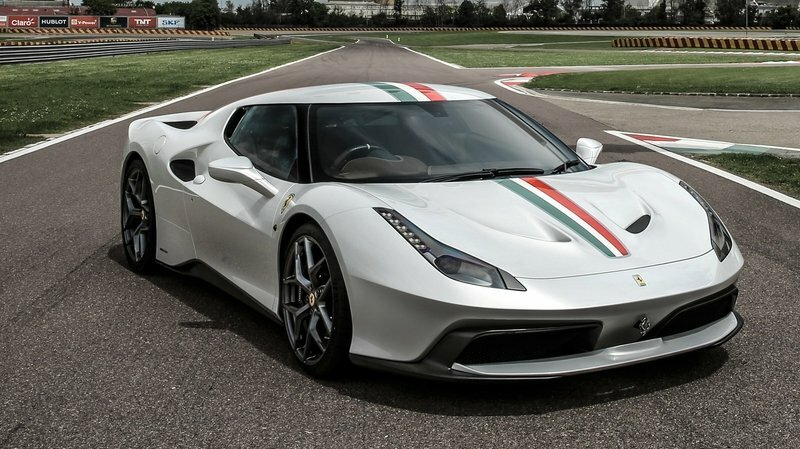 Luckily, a 488 Pista doesn’t cost $3 million like the Sergio. The F60 America isn’t a unique model. In fact, 10 of them were made at the request of Ferrari U.S.A. to mark the 60th anniversary of Ferrari’s presence Stateside. The F60 America is, essentially, a convertible F12 Berlinetta. The car’s far more understated compared to the F12 TRS thanks to a lower beltline and fewer aerodynamic appendages. Each of the 10 cars was painted in blue with a thin white line running across the length of the body. The color combo is a tribute to NART (North-American Racing Team), the organization founded by Luigi Chinetti, Italian racer and friend of Enzo Ferrari who was instrumental in bringing Ferrari to the States. His company was also behind some bespoke open-top versions of well-known Ferrari models that weren’t offered with a disappearing top straight from Maranello. Such a car was the 1967 Ferrari 275 GTB/4S NART Spider. Only ten 275-based NART Spiders were made in the late ’60s and, thanks to an ingenious gimmick, they were equipped with racing technology. 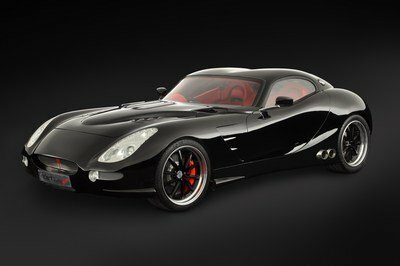 As such, the 3.3-liter V-12 was pushed to 320 horsepower at 7,000 rpm and the five-speed transmission was moved in the back where the independent rear suspension was to be found. The F60 America is nowhere near as innovative as the NART Spider was in 1967 but it’s a nice homage nonetheless. That’s because the modifications didn’t stop at just removing the roof. The F60 America features a bespoke rounded grille with chromed bars, a modified bumper, and a different hood as well as special wheels. The SG50 Edition is yet another one-of-one Ferrari F12-based model. This time, it was the 50th anniversary of Singapore’s independence that was celebrated by Ferrari with this car. In actuality, it is the creation of the Tailor Made program that deals with the personalization of each and every Ferrari car with the exception being that no other F12 Berlinetta was ever done in this specification other than this one. This is why it deserves a place on this list although it isn’t a Special Projects car as such. The car was ordered by Ital Auto, a Singaporean Ferrari importer and it features some unique details: the dual stripe across the length of the car painted in the colors of the flag of Singapore, the special Rosso Singapore tint of red that covers the body, and the Bianco Italia elements like the rocker panels, the lower bits of the splitter, and the wheels. 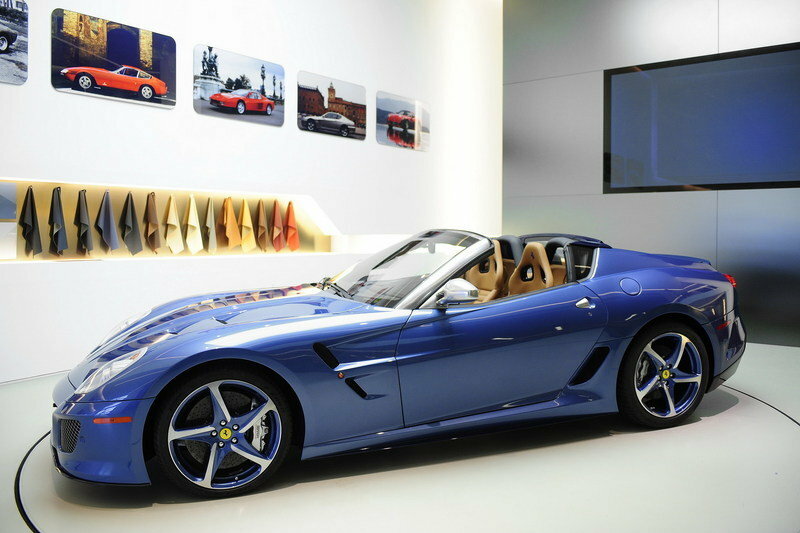 You can include among the unique models that aren’t the job of Ferrari Special Projects the Ferrari 599 GT Aperta. It’s based on a 599 GTO but features the open-top layout of the 599 SA and only one was made painted in Rosso Fuoco with double grey stripes. This is one of the earliest Ferrari Special Projects cars. The GTS moniker in the name tells you exactly what to expect from the Pavesi: it is the first targa-top Ferrari since the Ferrari 355 GTS was phased out in the late ’90s. It features a pair of carbon fiber removable roof panels that can be stored behind the seats. The body of the 612 GTS Pavesi is painted in silver with black sections across the sides and the biggest wheels available on the 599 GTB. Unlike most other Special Projects vehicles, the Pavesi actually received extra oomph in comparison to a standard 612 Scaglietti. The Ferrari engineers were kind enough to cram in some extra 20 horsepower for a mass total of 550, maybe due to the installation of a Tubi exhaust system. We’ve talked about a different, much older, Ferrari with the Pavesi name here. The 1989 412 Pavesi Ventorosso remains the only open-top 412 ever made officially. 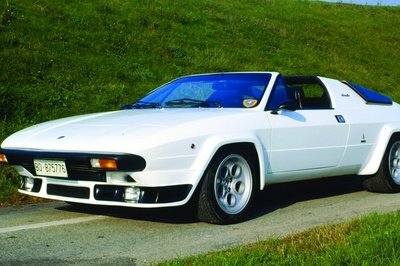 Nicknamed ’Deborah’, the SP38 is, as far as I’m concerned, what the F8 Tributo should’ve been. Like the replacement of the 488 GTB, Ferrari said that the SP38 is a tribute to the F40 but, frankly, it looks a whole heap of a lot better. From the front, the narrow headlights, the protruding grey bumper and the massive front grille that sits in a recessed position make the SP38 look a bit like the fixed-roof version of the not-unique J50. We don’t know who this person is but we do know that he flew to Maranello to take the keys of his car before proceeding to do a few hot laps on the Fiorano circuit. What’s certain is that he’s got one of the most beautiful modern Ferraris, in no small part due to the wheels as well as the way the flared fenders blend in with the narrower mid section of the car. Oh, and I also like its name! I can’t sign off this piece before giving a fleeting mention to the car that pushed Ferrari to open the doors of its own coachbuilding facility. You see, there have been tons of bespoke Ferrari made before the SP1. Pininfarina designed and built many of them but some were also designed by Zagato and others. In the ’90s, especially, Pininfarina was busy building special cars for the Sultan of Brunei’s brother who owned that legendary 5,000-car collection. Cars like the Testarossa-based F90 Speciale and the Paolo Garella-designed FX (which has a Williams-developed seven-speed sequential gearbox) are still in the royal family’s collection among a plethora of four-door models, many based on the 456M. Gianni Agnelli enjoyed the constant money flow that came in via Brunei for these special cars but Ferrari wanted to get a piece of the action in the noughties when Pininfarina was tasked again with building a unique car, this time for an American customer. That customer was Jim Glickenhaus and what he wanted was for Pininfarina to transform the Enzo into a modernized Ferrari 330 P4. The result is the achingly pretty P4/5 (that spawned the F430 GT3-based P4/5C) in 2008. Ferrari didn’t like that Pininfarina kept building bespoke cars in its name and acted upon it. Happily, the P4/5 survives in Jim’s extensive car collection that includes the Ferrari 206 Dino Competizione Prototipo. What’s clear, though, is that, with the advent of the Special Projects division and the breakup between Pininfarina and Ferrari, you must go to Ferrari if you want a bespoke car, you can no longer go to a coachbuilder unless you wish Ferrari’s wrath to be upon you.